SNOW DAY, And CALIFORNIA IS NOT AN ISLAND, DID YOU KNOW? My heart goes out to all those who are reading this, battling the cold. And I'm envious of those of you who are having a great Snow Day. You guys deserve all the beautiful white goodness. You have to work so hard to put up with other weather conditions, let us Northern Californios have our rain and damp. It doesn't last long. Besides, we need the rain. I'm looking forward to spending a week in Hawaii coming up here in a couple of weeks. I love the people, and the scent of flowers everywhere. I come back hearing Ukelele music in my head for weeks. Just like when we go to the Caribbean, I hear those steel drums at night, when I wake up in the morning and often when I'm writing without music. I am sponsoring a 15-author book signing at Francis Ford Coppola Winery in Geyserville on February 20. If you are in the area, the tickets can be purchased here. The fee is going towards the awesome chocolate desserts, the wine pairings, and of course the beautiful pavilion we'll be wandering through, meeting romance authors and finding new books! Copperfields Books, a great local independent book store, will be handling all the sales. But there will be goodies as well. Many of the authors will be staying in Healdsburg, one of the great tourist attractions of our wine country region. Early on it was a favorite for those who cane for the wine, but since then it's become an eclectic collection of shops, galleries and restaurants that rival some of the best tourist attractions in the country. I've lived here 45 years, and I can still get lost for a whole day shopping. Here are some things you might not know about Healdsburg and our Wine Country. 1. Up until 1747, California was believed to be an island. 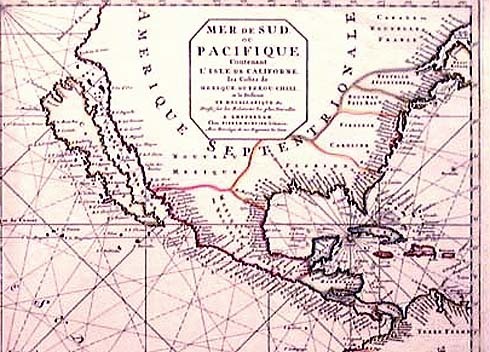 Although Father Kino walked from the mainland in 1698 to disprove this theory, it wasn't until nearly 50 years later Father Consag sailed completely around the Gulf of California in 1747, and only then did King Ferdinand of Spain issue the Royal decree stating “Callifornia is Not An Island”. 2. Although the area was populated with Miwok and Pomo Native American tribes for centuries, the first Europeans actually spotted the San Francisco Bay in 1769. Yes, Sir Francis Drake landed in what is now known as Marin County, at Drake's Bay or Bodega Bay (we aren't exactly sure where) in 1579, he did not travel far enough into the interior and he missed the San Francisco Bay completely. So, around the time of our American Revolution, only a handful of people even knew about California or its Bay, and most of those were the Spanish who had designs to colonize it. Missions were started, the Spanish built the Presidio in what is now Golden Gate Park, for Spanish troops. 3. Mexico rules over California in the early 1820's. A series of Mexican land grants were given out. 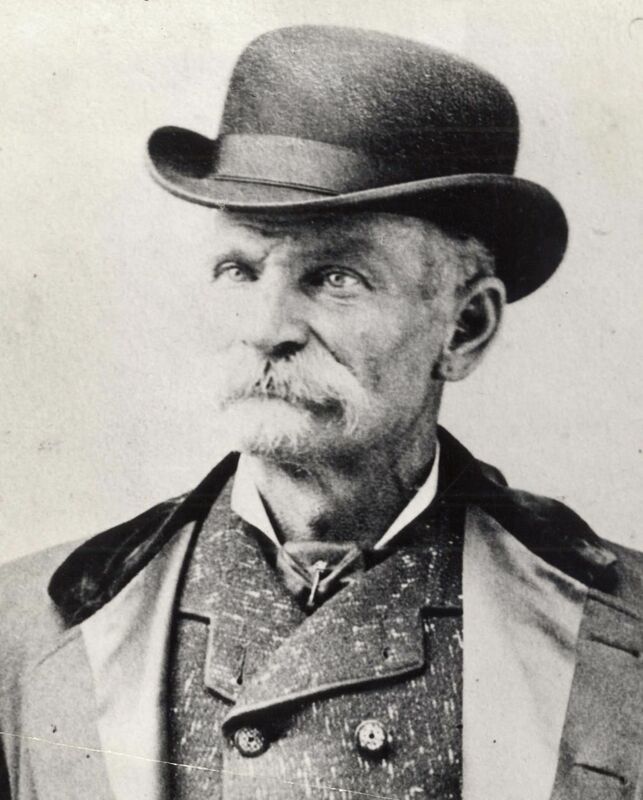 The town of Sonoma was established to protect the mission, and the young General in charge was Mariano Vallejo, who was given a 66,600 acre land grant we now celebrate at the Vallejo Adobe. 4. In the 1830's and 1840's a series of Russian immigrants came down from the Russian Fort at Fort Ross, investigating the potential for grape growing, and settled in what is now Alexander Valley. Fort Ross is then sold to John Sutter just prior to the gold rush, the Russian immigrants writing, “Local grapes make good wine, but in small quantities and does not keep well.” By 1850, California was added as the 31st state, and Healdsburg had a whopping population of 300. 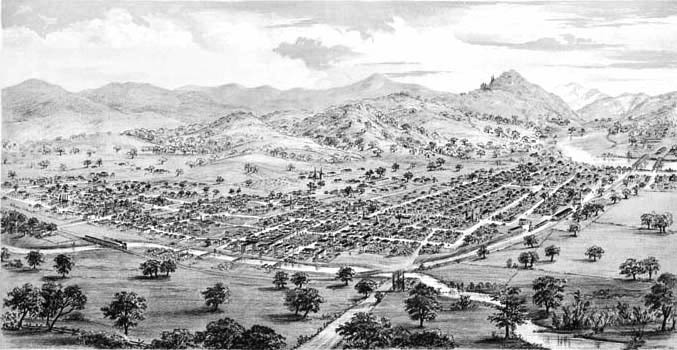 Sonoma was temporarily the capital of California in the Bear Flag Revolt, and they took General Vallejo prisoner for a time, the flag designating Alta California its own independent republic. headlines. The first railroad opens in 1886. 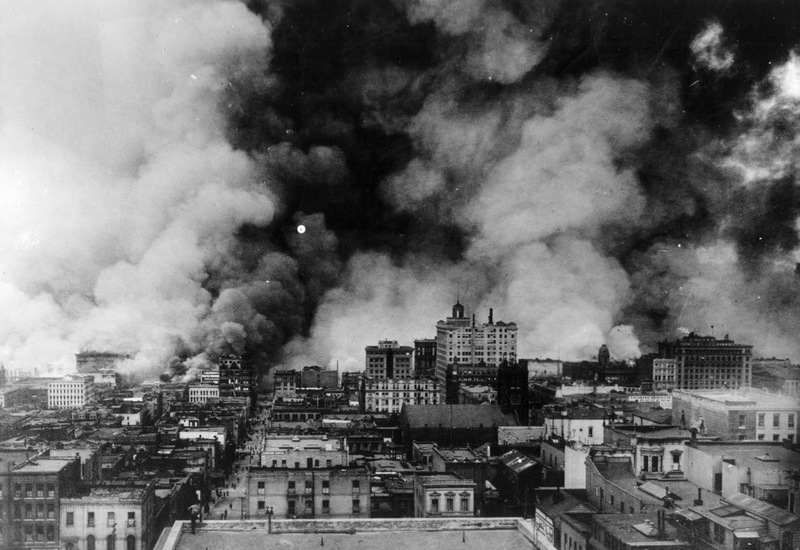 The 1906 San Francisco earthquake hits (the epicenter was really north, closer to Healdsburg, in Santa Rosa). Several buildings in the downtown collapse. With the rebuild of San Francisco, most of the local forests, much of it old growth redwood trees, are used for the massive rebuild. More railroads, then lights, ferry boats that came all the way up from San Francisco to Petaluma and beyond. Who can forget the 1915 San Francisco World's Fair? 6. Prohibition nearly killed the wine and hops industrues. Remember Burgermeister, Hamms and Schlitz? These San Francisco breweries relied on hops from our beautiful valley. When the breweries failed or consolidated on the East Coast, more and more land was planted for grapes, which turned out to be more able to rebound. German and French champagne makers arrived. We've changed quite a bit since then. For Californios (that was the self-described title the independent peoples of this region called themselves, not owing loyalty to Spain or to the United States) we love our roots, our rich multi-cultural heritage. Luther Burbank would settle in Santa Rosa. Mark Twain and his young bride would travel on their honeymoon through this region. Sir Richard Burton was spotted here, and Jack London put down roots in the town of Glen Ellen. Our history is newer than many other parts of the country. But one thing it has always been, unique, and fiercely independent. And like most Americans, we are survivors of generations who came before us and helped make us what we are today. Thanks! Enjoyed putting that together. Fun to tell these stories. An interesting history, with countless stories waiting to be told, no doubt. 🙂 I hope your event is wonderfully successful. Enjoy Hawaii! Thanks, dear. Looking forward to it! YES!! What an awesome history lesson. Thank you my princess! I know your event at the Coppola winery is going to be a huge success. YOU are trending my angel. I will be there with you in spirit unless I can pull off a trace. Love you to trace, or win the lottery, but in either event, I know you'll be there in spirit. I love history and I always love when you do a post with a history lesson. You get that pretty at such a high cost. But I know it's nice for a day or two. Stay warm and safe! !